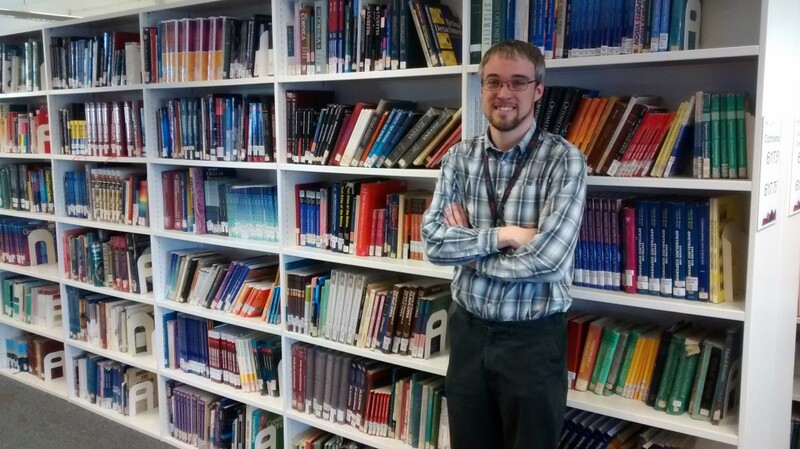 This post is by Dominic Allington-Smith, who shares his experience taking the Library Science MSc and working as a service assistant at City University Library. I began the MSc in Library Science at City University London in September 2014 and, as a full-time student, am currently nearing the end of my studies, with only the small matter of the dissertation left to write. I started my library career in late 2012 —after a couple of years of wondering what, exactly, to do with a first degree in History— working first as a volunteer and then as a Library Assistant at Durham University Library, and later as a Trainee Cataloguer at Coutts Information Services. After committing to the course at City, I was fortunate enough to secure a part-time Service Assistant job in the university library, which has proved to be very convenient and beneficial for my studies. I can echo the comments of previous contributors to this series of blog posts by agreeing that the course has given me a great deal of new knowledge about the subject, whilst placing aspects with which I was already familiar in a strong overall conceptual framework. I have particularly enjoyed some of the more theoretical aspects of the course, which (superficially at least) may have little connection to the practice of library work, such as information philosophy and theory. On the other hand, modules covering digital libraries, computer programming languages, Digital Humanities research techniques and Open Access publishing ensure that we have knowledge of the key contemporary issues facing the profession. Another aspect of the course that I have enjoyed is the camaraderie between the students, including those studying the similar Information Science MSc (not to mention the teaching staff!). Previously sceptical about the value of social media, I was required to create a Twitter account and a personal blog, and I like to think that I have embraced them with the zeal of the convert. Both of these Internet platforms have proved to been invaluable tools for us to communicate with one another and to share articles, links and events that may be of interest, whilst the practice of reflecting on my thoughts and putting them into words on a weekly basis for some of the courses has, I believe, improved my writing skills considerably. Dominic is on Twitter @domallsmi. City University Library is on Twitter @CityUniLibrary. Find out more about postgraduate study in Library and Information Science at #citylis, meet alumni, current students and staff on our next open evening on 10 June. Register here. A lecturer at City, University of London. My research interests include digital humanities, library and information science, human computer interaction design, comics scholarship, scholarly communications, open access, open data and open educational resources. This entry was posted in Student Perspectives and tagged Academic Libraries, careers, City University London Library, Library Science, LIS jobs, students. Bookmark the permalink.